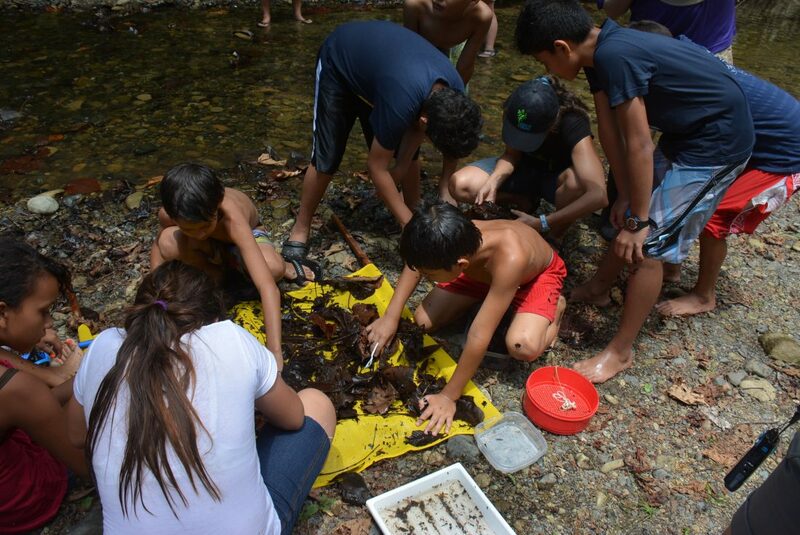 This past week local students from Puerto Jiménez had the chance to discover what lives in the streams that flow by their small town and the incredible amount of chemistry and biology that goes into keeping their water sources clean and healthy. 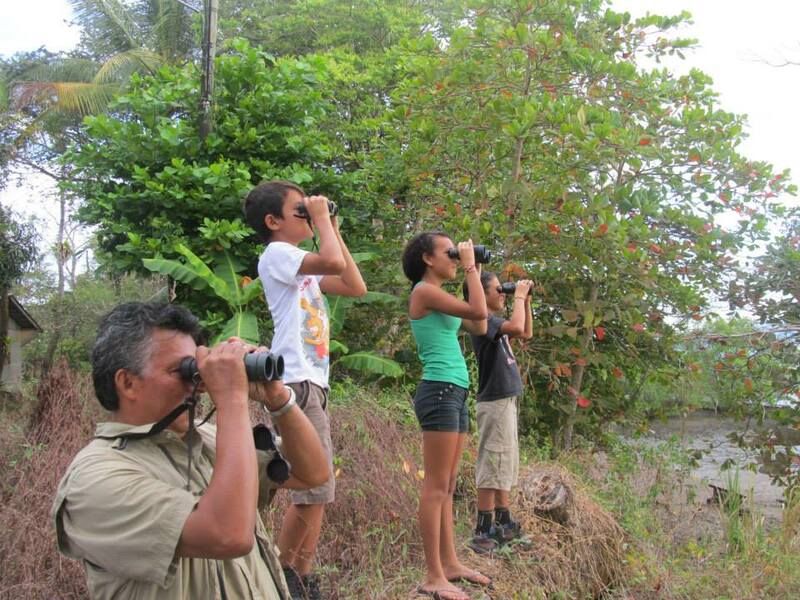 Led by veteran biologist Jim Palmer, founder of the Creek Connections program at Allegheny College, Osa Conservation staff and volunteers worked with 8 sixth-grade students, a teacher, and several parents from the local public school in Puerto Jiménez over three days to study the biological diversity, water quality and chemistry of waterways in the Osa Peninsula. 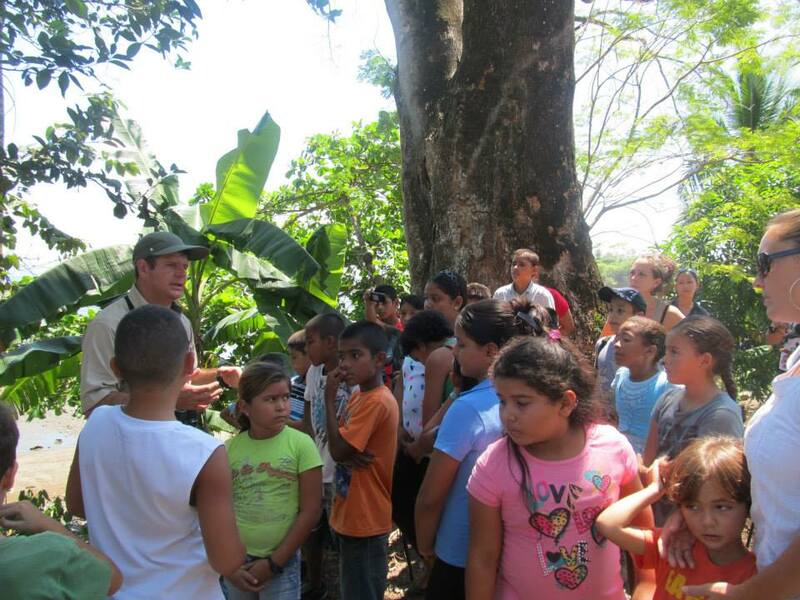 OC staff and local students were joined by several Creek Connections staff members and interns as well as staff from the Stroud Water Research Center of Avondale, PA and the National Biodiversity Institute of Costa Rica. 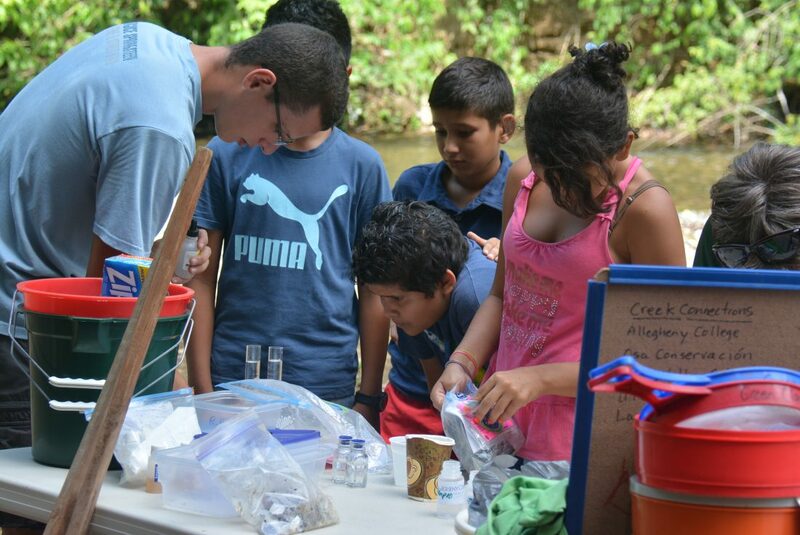 On Sunday, students split into teams to study Quebrada Ignacia, a small stream running through Puerto Jiménez, and conducted basic tests of water composition, measuring such things as nitrogen, phosphorus and dissolved oxygen levels, as well as turbidity (total dissolved solids) and pH levels. The macroinvertebrates inhabiting a stream, such as insects, molluscs, arachnids and crustaceans can act as indicators of stream health, but the water in this stream was too deep and silty to collect them. 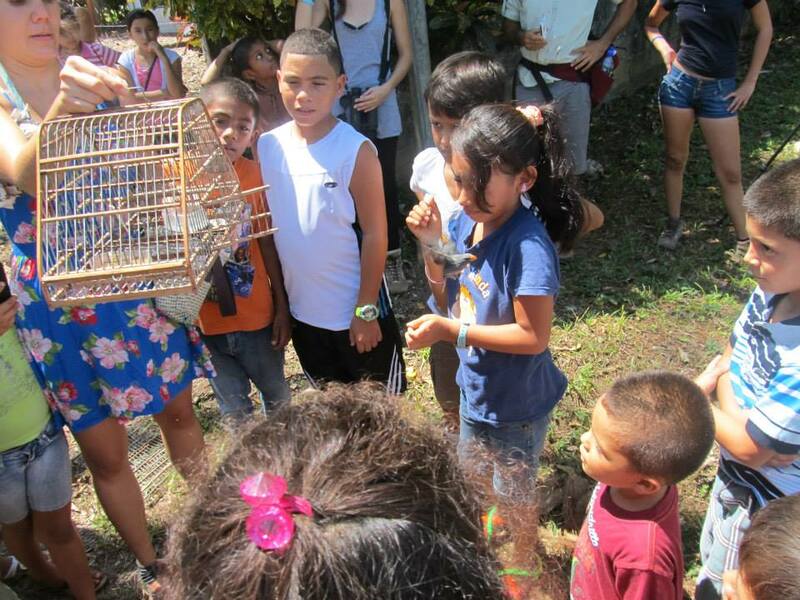 Luckily, Creek Connections staff members brought a few live ‘macros’ from Rio Piro so that students could get a preview of what they would see the next day. 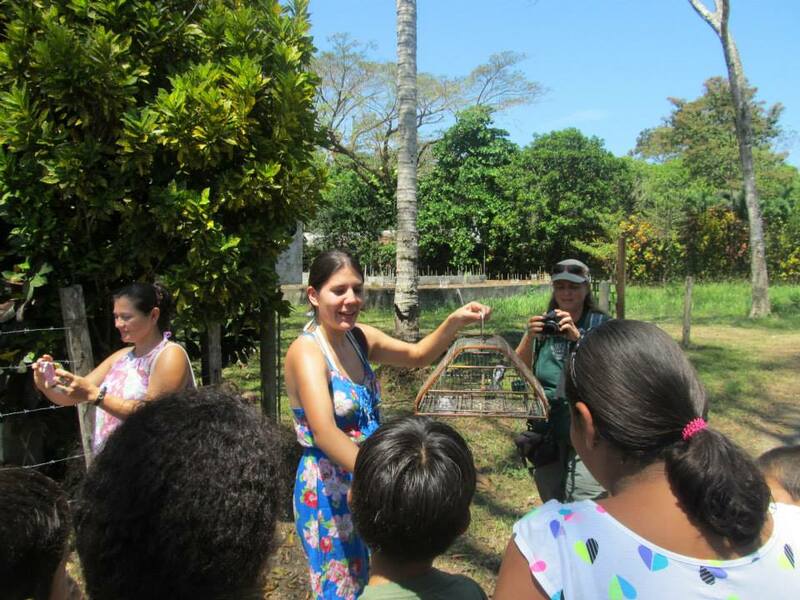 Community Education Manager Pilar Bernal shows students how to conduct basic water chemistry tests. 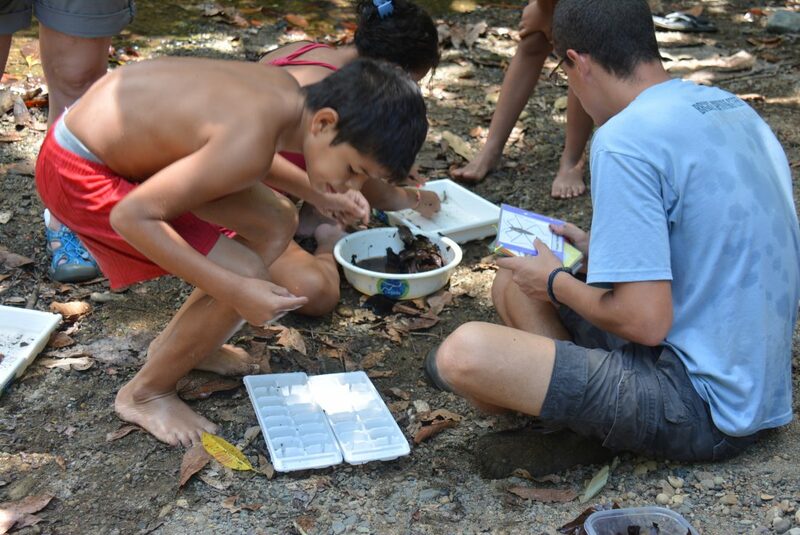 Students sort macroinvertebrates brought from Rio Piro. 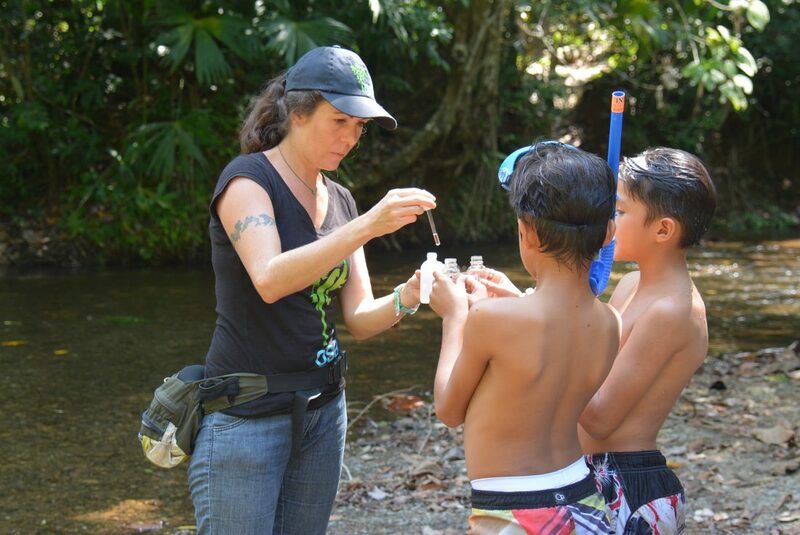 Then, on Monday morning, the students joined Dr. Palmer and others at Osa Conservation’s Piro Biological Station to continue their water quality studies on the streams flowing on the western side of the peninsula. 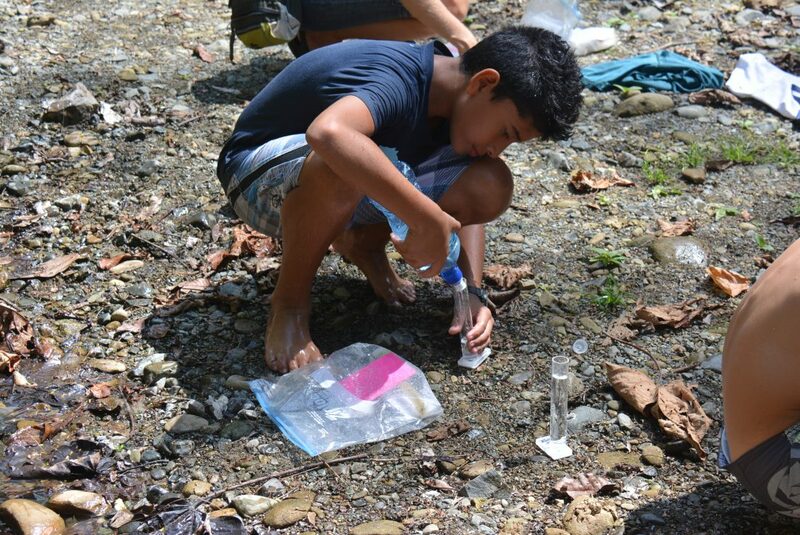 After a brief introduction to the importance of key chemical and biological indicators of stream health, students made the short hike to the junction of Rio Piro and Rio Coyunda, where they conducted the same chemical tests they had performed the day before on Quebrada Ignacia. Creek Connections staff members demonstrated the kick-net technique for sampling aquatic biodiversity in each stream, and students sorted the diverse array of macroinvertebrates they collected in the kick-nets on the basis of whether they indicate excellent, good, regular or poor stream health. 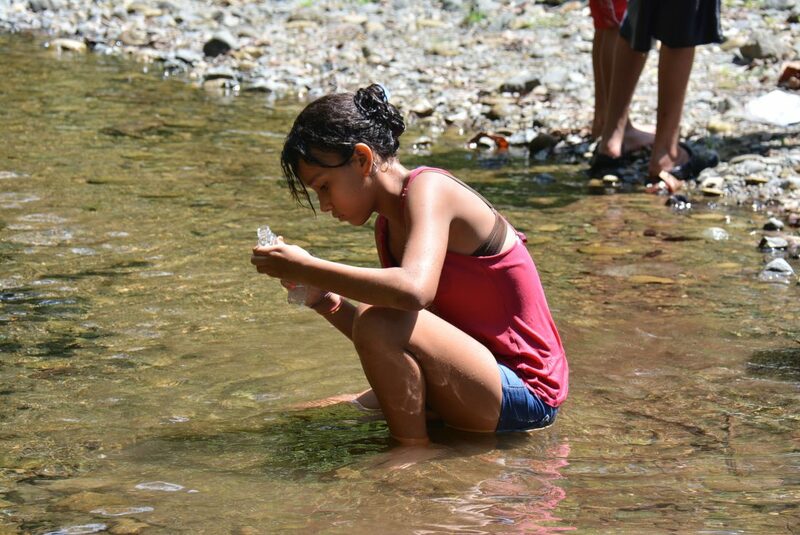 Staff from the Stroud Center and the National Biodiversity Institute also helped students identify aquatic insects and several fish species from the streams. The students then summarized their results as a group. 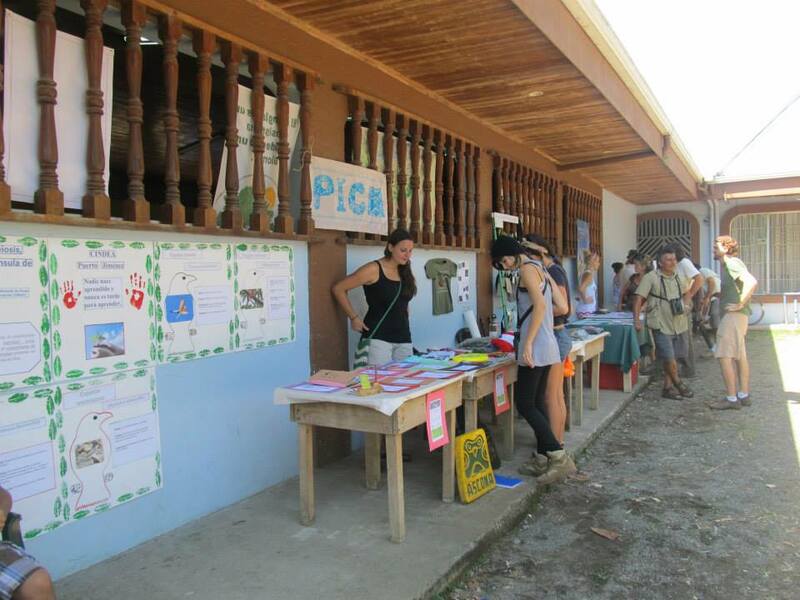 Students set up a field water monitoring station at the junction of Rios Piro and Coyunda. 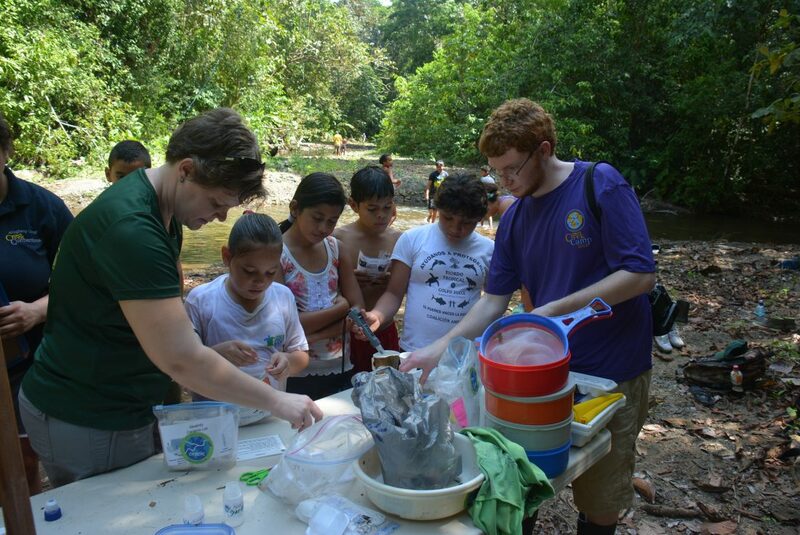 RFA David Parreño helps students conduct basic water chemistry tests on the Rio Piro. 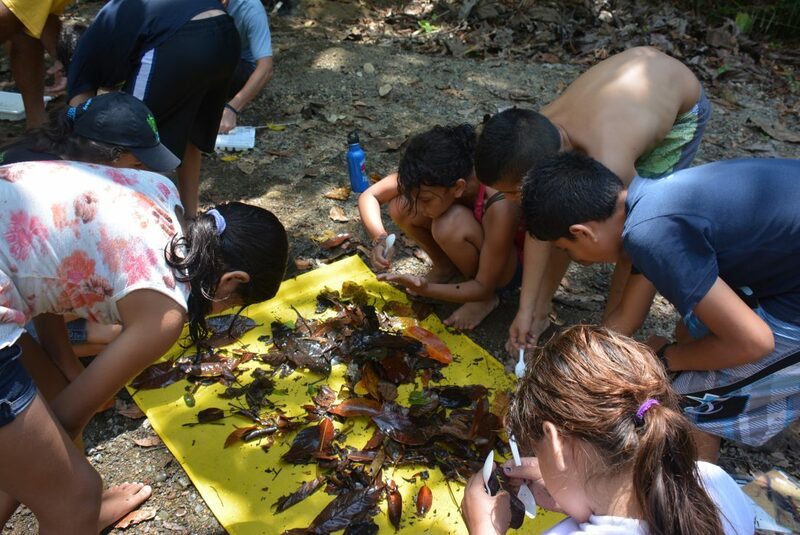 Overall, the students measured significantly higher aquatic biological diversity at both the Rio Coyunda and Rio Piro sites compared to Quebrada Ignacia. Quebrada Ignacia had much higher turbidity and salinity levels compared to Rios Piro and Coyunda, most likely due to the strong estuary influence from nearby Golfo Dulce. Students found that Rio Coyunda was significantly more alkaline than Rio Piro and hypothesized it was due to the presence of more rocks of limestone origin with higher calcium content in Rio Coyunda. 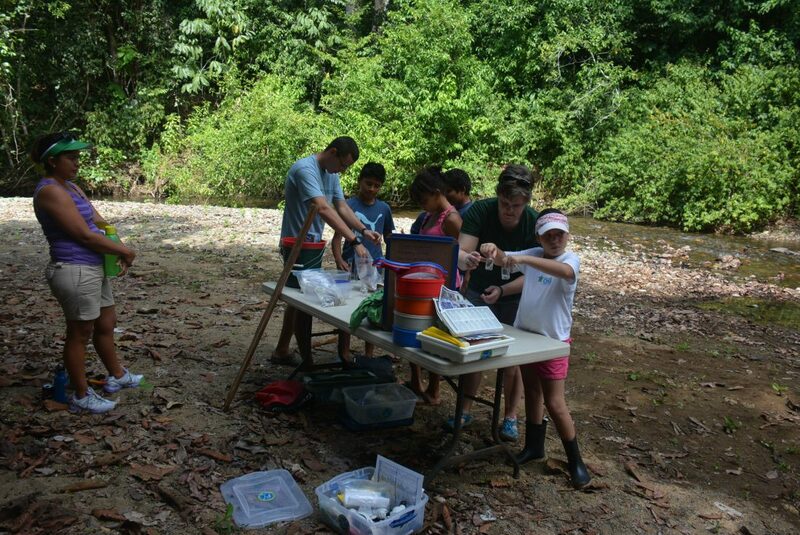 The types and abundance of macroinvertebrates present placed both Rios Piro and Coyunda at the high end of the “regular” category in terms of water quality. Students noticed both streams had high numbers of snails on the rocks. Students collect macroinvertebrates using a kick-net. 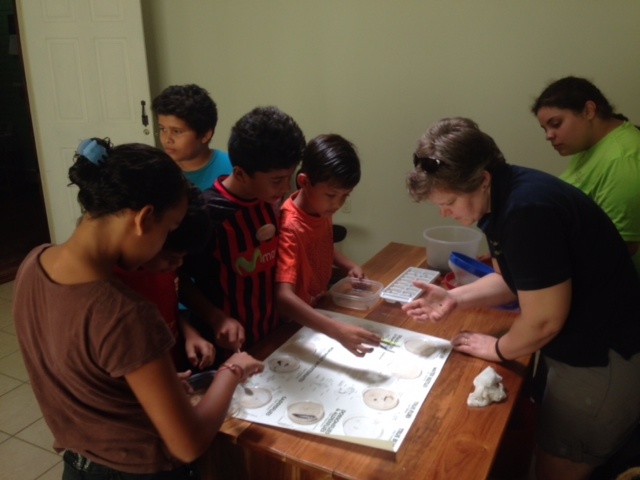 Students separate and sort the collected macroinvertebrates in ice cube trays. 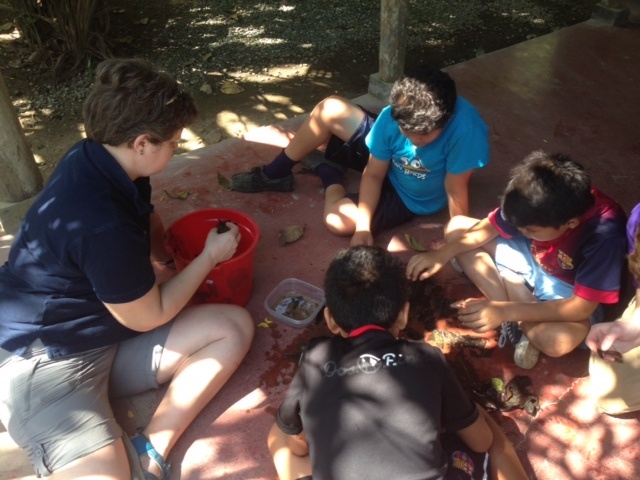 On Tuesday, Dr. Palmer and Creek Connections staff joined the same students for a third time at the Osa Conservation office in Puerto Jimenez for additional practice at sorting and identifying the invertebrate indicators of water quality. 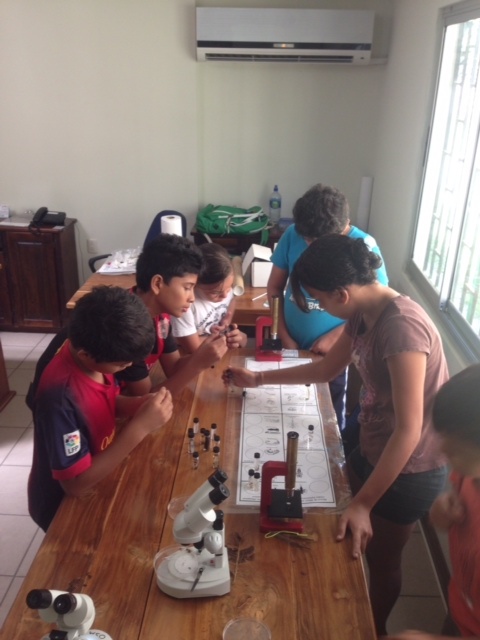 At the OC office, students used microscopes to examine key adaptations of some of the invertebrates up close. Dr. Palmer and Pilar Bernal, OC’s Community Education Manager, concluded the sessions with a summary of the major findings of the three days of study and a fun ‘lab practical’ that challenged students to correctly place preserved specimens from OC’s reference collection in to the appropriate indicator category. Students examine macroinvertebrates under a microscope. Students compare samples taken from Rio Piro against samples from OC’s reference collection. 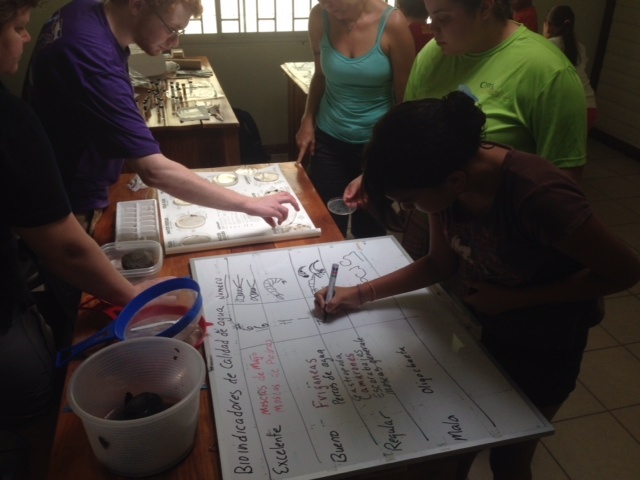 Students sort the invertebrates into categories based on stream health indicators. 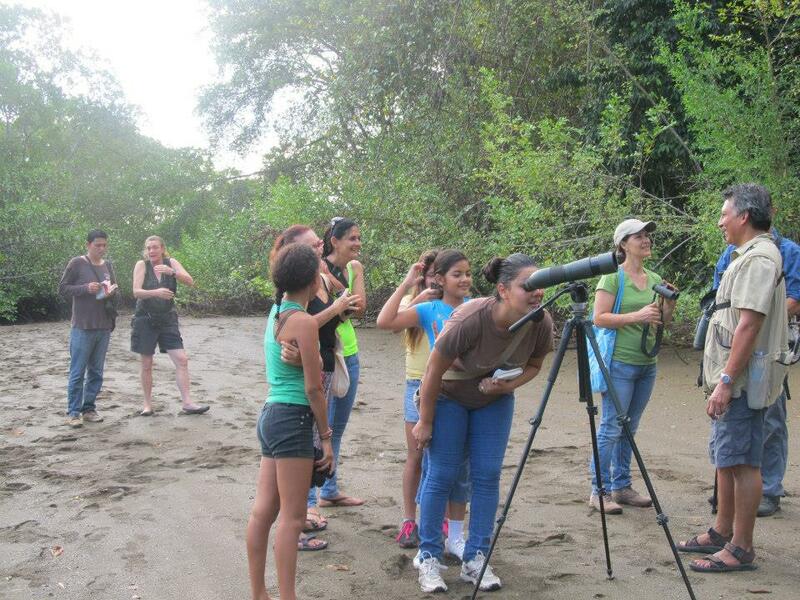 Over this three-day workshop, students were quick learners and eager to return to the field station for more activities. Creek Connections and Osa Conservation hope to continue to engage this same class in ongoing water quality assessments of the Quebrada Ignacia to spot seasonal and long-term patterns, and will also encourage and support these same students to design their own stream research projects as they move through high school. 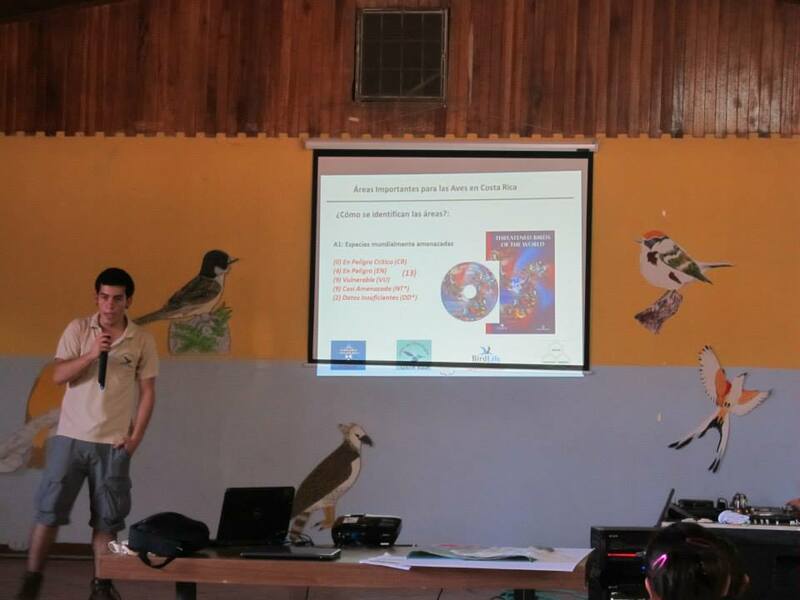 An exchange of knowledge for conservation, part 2: Agustín takes a trip to Colombia! 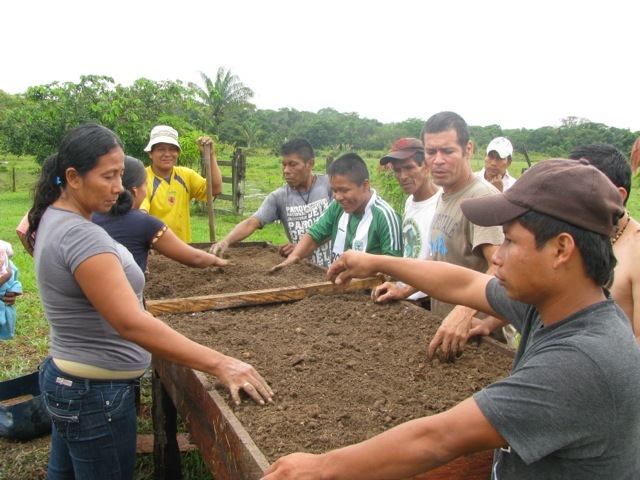 Agustín (right, tan shirt) talks about native seed collection and forest restoration. I arrived on the Osa Peninsula well over 39 years ago; since I was young I worked the land with my father, through him learning the best techniques to do so. Although I was very young, I had always expressed an interest as to how little by little the forest around me was disappearing, and along with it all the wildlife. Back in those days, there were no laws to prevent the indiscriminate lumber trade in the Osa. At the age of 23 I left the Osa Peninsula for the first time for three of the longest years of my life. I had to return because I could never acclimate myself to living in a world so different to that which I had grown up in. 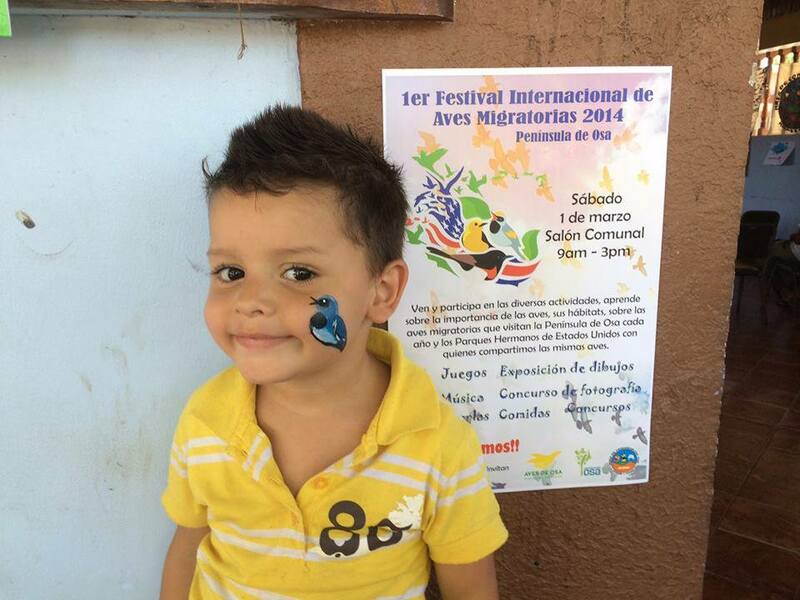 I also returned with my young children in hopes of giving them the experience of growing up in nature that I myself had received as a small child. 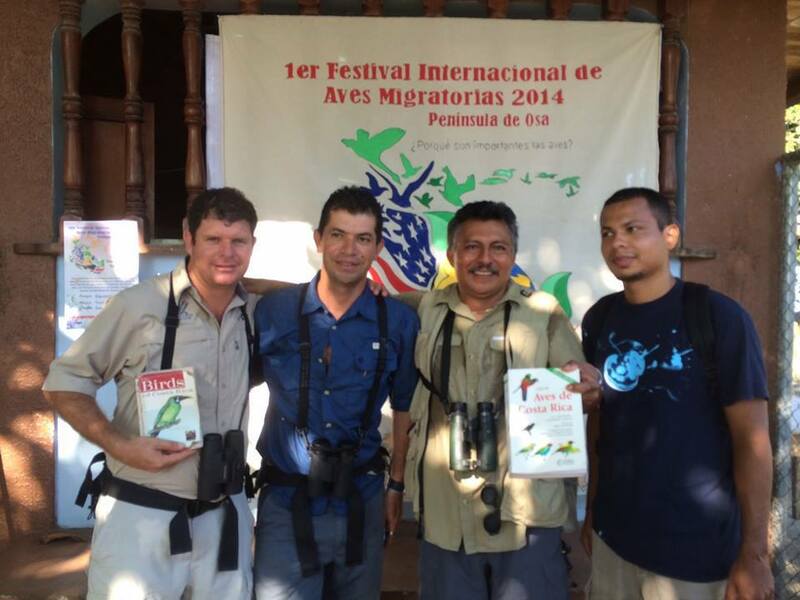 It was during my return to the Osa that I met Manuel Ramirez and Adrian Forsyth who contracted me to begin working with them: they were looking for someone to help them protect the Osa wildlife and to work on reforestation projects on the peninsula. 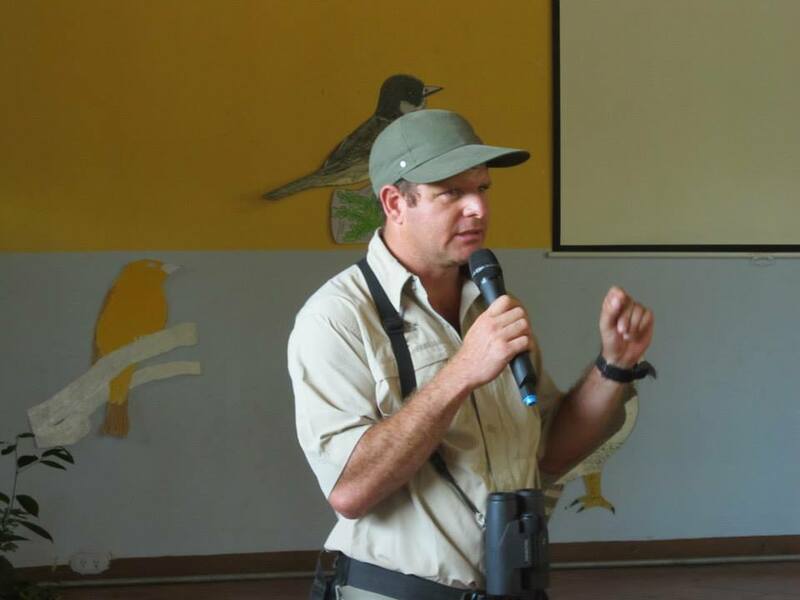 With this job I took advantage of the opportunity to bring my children into the forest and educate them about the importance of the animals and wildlife around them, much as I had learned as a small child. 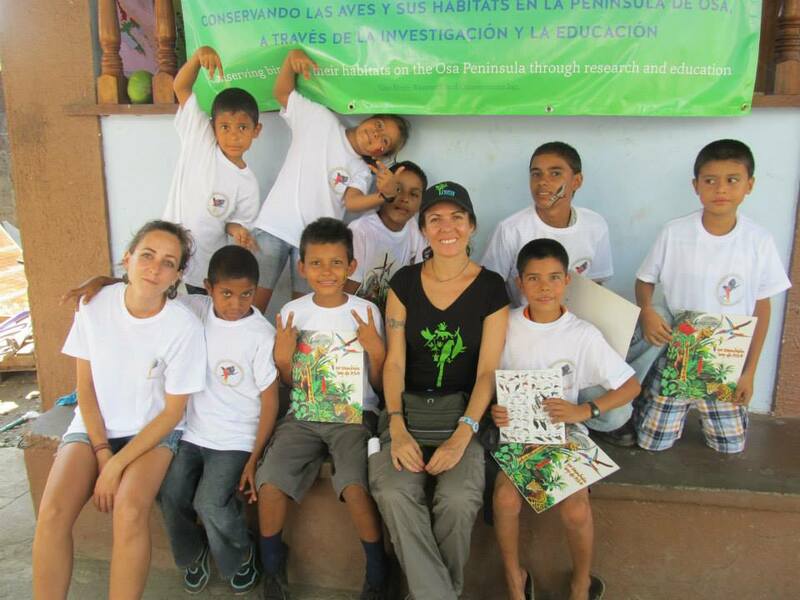 It was a learning experience for my children as much as it was for me; as I continued working on these projects, I also begun learning about native trees and about their seeds, about reforestation, and about general conservation issues. 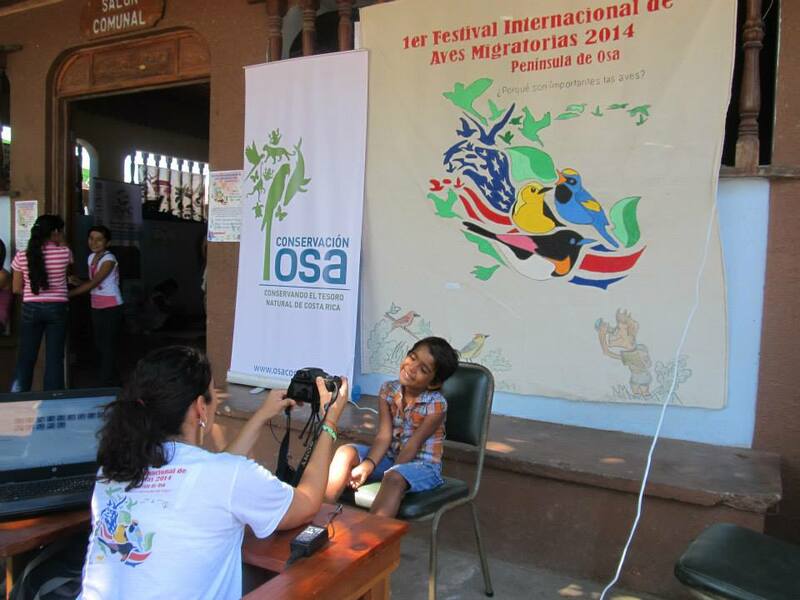 Later Osa Conservation would contract me where my wildlife experience would be of much value to the organization. I also was given the chance to learn a lot by working with Osa Conservation; for example, about the importance of relationships with scientist, students, and volunteers, and how important their impact and work with the forest is. 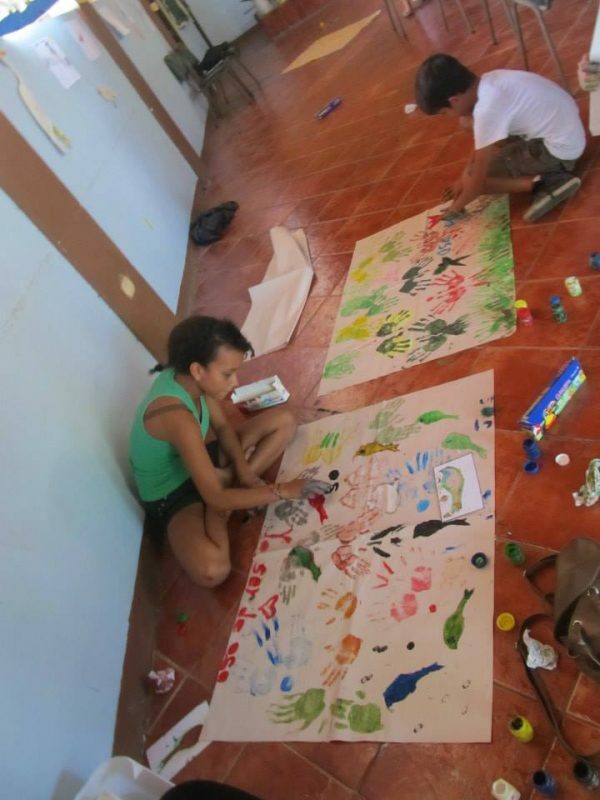 This opportunity helped me to grow as a person, and also opened many doors for me that I would not have had otherwise. 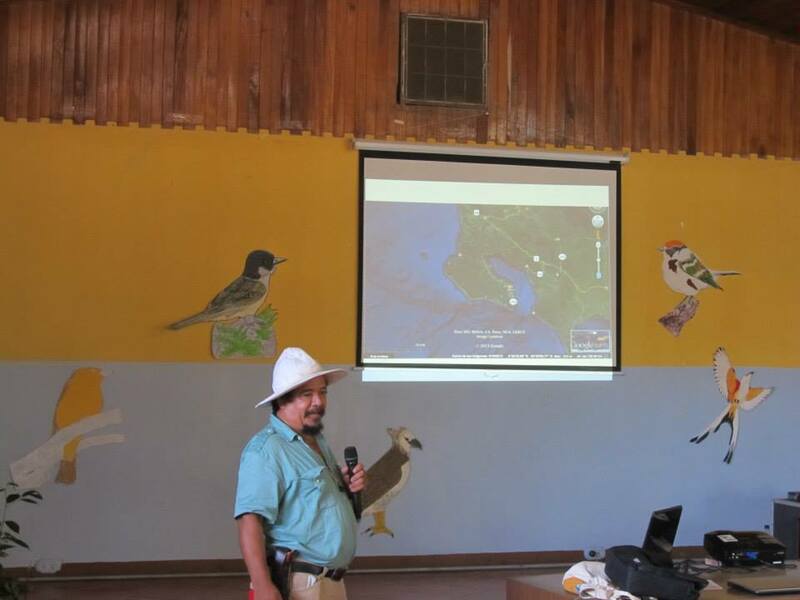 Thanks to one of these encounters through Osa, I recently had the luxury of traveling to Colombia to give a presentation about reforestation and native tree seed collection. 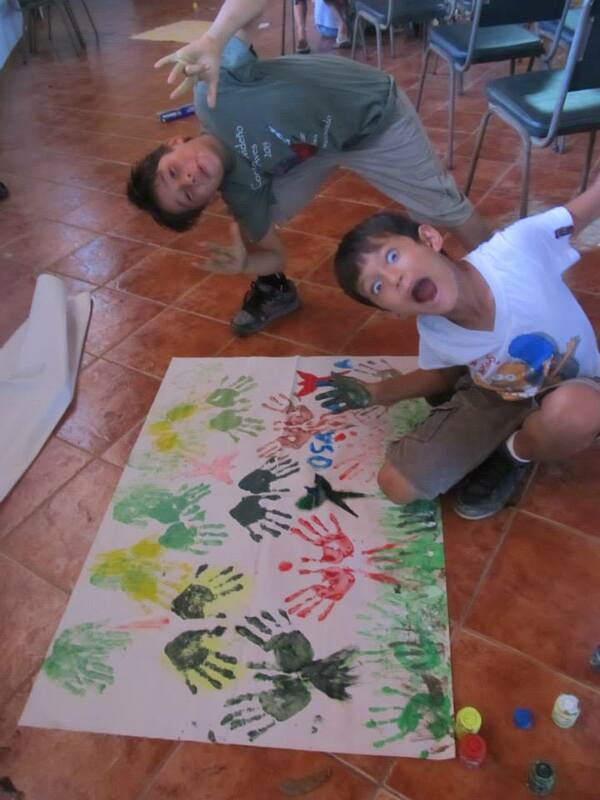 I was greeted by Wilmar and Jairo, collaborators with our organization Amazon Conservation Team. With them I traveled down an Amazon river to the indigenous community of Guitara. In truth, I was originally rather scared of making the journey; the boat ride, the river; all of these things were completely unknown to me, and outside of my native Osa made me nervous. In the end I cannot complain, I was greeted by the indigenous community with an incredible response – they were truly special and humble humans with whom I was able to share unique experiences, stories, history, and culture. 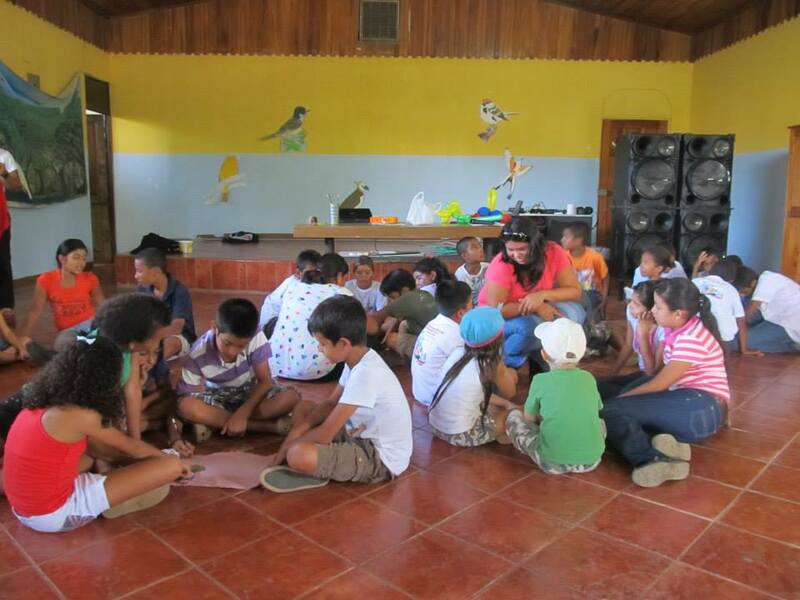 At the end of my journey I came to the realization that although I had traveled to Colombia with the idea of teaching the community of Guitara a bit of what I knew, I came out learning so much more than I could have hoped to teach them.